Cute owl socks that glow in the dark. Buy directly online at funslippers.com ! 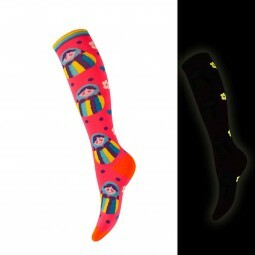 These socks with owl design are made of 60% acrylic, 30% polyester and 10% elastane. These sweet socks are available in different colours and sizes 35 to 40.